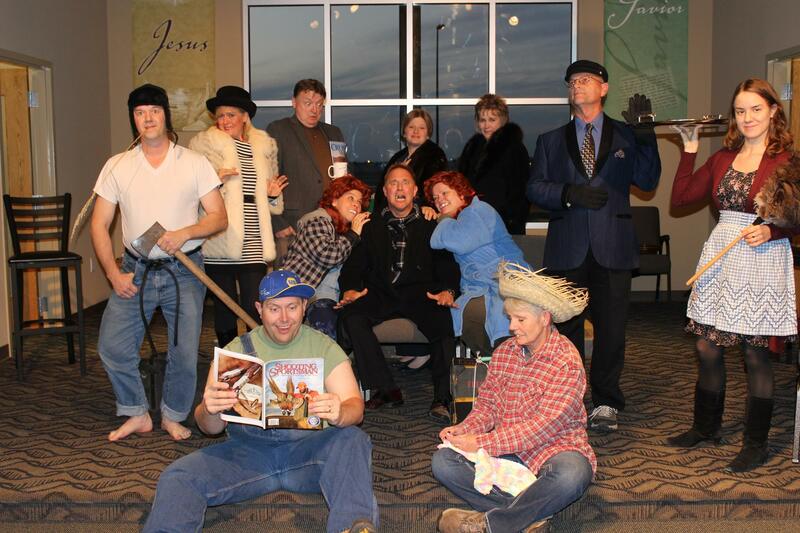 Friendship Lutheran Church of Joy Dinner proudly presents to you: “A Cricket County City Christmas”, Friday and Saturday, December 6th & 7th at 6:00 pm. Dinner, plus live music and theatre. You won’t never wanna miss this’n. The city cousins invited their backward country cousins to join them in the city for the holidays this year. This is the countrified cousins’ first time outside their rural corner of the world, and they’re not sure how to act. But a mistake in planning occurred and the king of High Society is due to show up the same evening! The city cousins take it upon themselves to teach their dear simple family the “sophisticated way of life”. Yet somehow in the midst of all, the country cousins teach their city counterparts what the real meaning of Christmas is all about. Proceeds go to Youth and missions. Advance tickets only – call the church at 355-0454. Adults – $22, kids 3-12- $12 and free for children 2 and under. Family value- $80. Church address: 3601 S. Duncan, Champaign. Questions, call the church at 355-0454. Menu includes: appetizer: cheese & crackers, spring garden salad, grilled butterfly pork chops, cheesy hash brown potatoes, bread, pineapple & grape garnish, and assorted home-made Christmas cookies.